Postcards are designed to post without the need of an envelope. Postcards deliver your message ‘out in the open’, like tiny billboards. These cards are designed to get noticed. 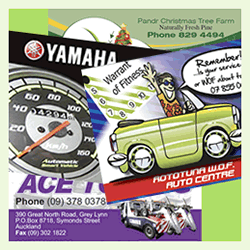 Postcards are perfect for a new product or service launch or seminar and can be handed out during an event. Postcards are also great as a thank you card. Postcards are available in full colour, either single sided or double sided.